All these books, whether fiction or non-fiction, are about inspiring and unforgettable women. Did you know that WIFI was invented by a glamorous Hollywood star? Or that the first computer programmer was a woman born in 1816? 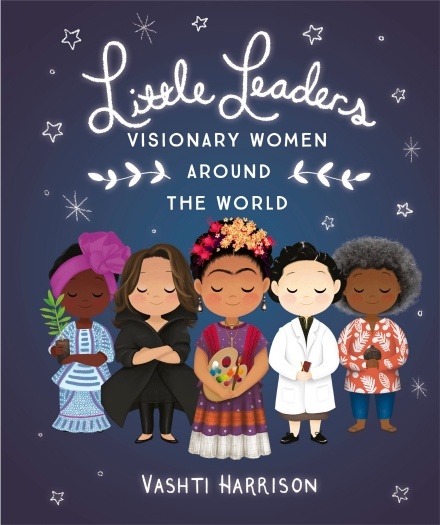 In the follow up to her beloved debut Little Leaders: Bold Women in Black History, Vashti Harrison introduces little readers to even more trailblazing women, from writers to inventors, artists to scientists. These amazing little leaders have changed the world, all because they were talented, clever, and above all, determined. Discover inspirational heroines like Zaha Hadid, Frida Kahlo and Chien-Shiung Wu. With beautiful illustrations and incredible stories, this is the perfect book for every future leader. Jacqueline Wilson is one of the most loved authors for a reason. Her characters never needed a cape, or a special power to be a hero to generations of children; just huge imaginations, a bit of fierceness and a big heart. And there is no hero fiercer or more iconic than Tracy. My Mum Tracy Beaker is a fantastic new story, reuniting readers with a much-loved old friend (and some old enemies. . .) Just like old times, it’s packed full of illustrations from Nick Sharratt. As a child in Pakistan, Malala made a wish for a magic pencil that she could use to redraw reality. She would use it for good; to give gifts to her family, to erase the smell from the rubbish dump near her house. (And to sleep an extra hour in the morning.) As she grew older, Malala wished for bigger and bigger things. She saw a world that needed fixing. And even if she never found a magic pencil, Malala realized that she could still work hard every day to make her wishes come true. This beautifully illustrated picture book tells Malala's story, in her own words, for a younger audience and shows them the worldview that allowed her to hold on to hope and to make her voice heard even in the most difficult of times. The four March sisters sweep everyone up in their adventures – including Laurie, the boy next door. Despite their sisterly squabbles, the bond between them is strong, but as they strive to become independent young women their lives follow very different paths. Author Louisa May Alcott was born in 1832 and grew up in Concord, Massachusetts. Like her fictional character Jo March, she struggled against society’s expectations of young women of that era. She became a staunch feminist and never married – unwilling to make the sacrifices to her career that marriage would entail – and, as a fervent supporter of women’s suffrage, was the first woman to register to vote in Concord. Louisa May Alcott was a prolific author, writing industriously right up until her death in 1888.